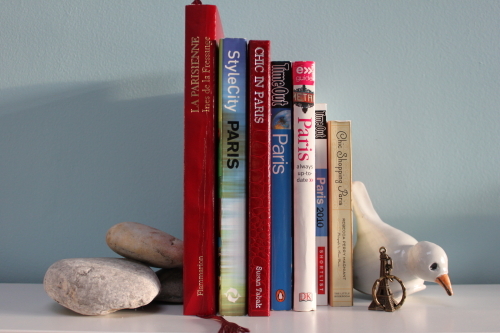 As I have visited Paris a lot in recent years, I have accumulated a mini-library of guides to the City of Light. My favourite is one I bought recently. It’s simply called La Parisienne by Ines de la Fressange (with Sophie Gachet). Ines is of course the quintessential Parisienne even though she was born near St Tropez in the South of France. La Parisienne is not strictly speaking a guide to Paris more a guide to what’s chic in Paris. There are no metro maps or lists of museums. The first third contains some excellent ‘how to wear’ advice from Ines. The reminder of the book has lists and great descriptions of Ines’s favourite; shops, restaurants and hotels. The book is so worth buying even if you have no intention of visiting Paris. There are loads of quirky illustrations by Ines and her daughter Nine models the clothes. La Parisienne is written in French. An English version called, Parisian Chic, is due out on the 4th April. The publisher is Flammarion. Do you have a favourite guide-book to a city you love?